We love our work and our people. 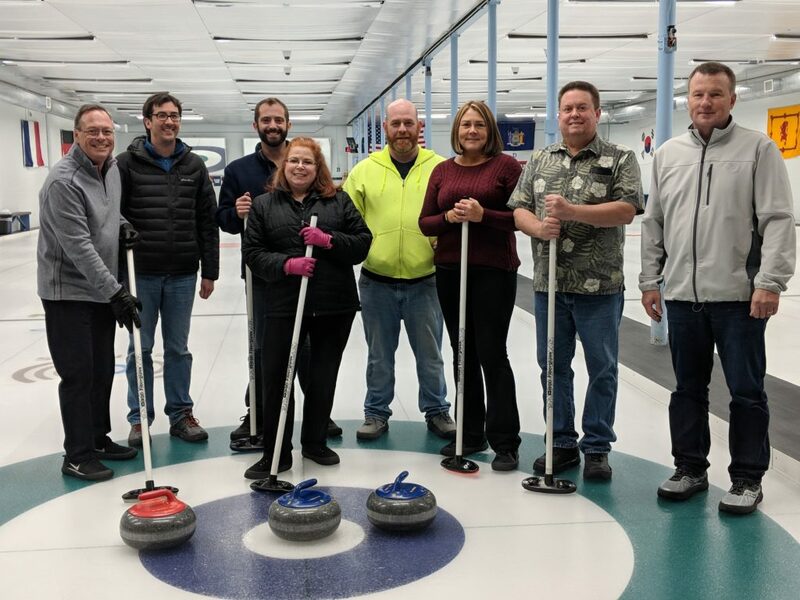 The latest team bonding event was curling! We are committed to innovation and our work reflects this. Our people are thinkers — dedicated to solving problems, serving customers, and thinking outside-the-box in every way. Yes, we offer competitive compensation and benefits packages, but we are also competitive both in and outside the office. We know how to have fun and we play to win! We’re a company made up of talented individuals — engineers and developers, sales and marketing professionals, customer-focused managers, forward-thinkers, movers and shakers. We’re proud of our team and the work they do. Multiple plan choices and pre-tax cost sharing of premiums. Relaxed culture – yes this means you can wear jeans everyday! Our software developers are responsible for the design, development, and implementation of client facing software applications. Our developers follow approved life cycle methodologies, create design documents, and perform program coding, testing, and debugging. Additionally, they resolve technical issues and identify opportunities for improvements. Respond to assigned tickets to comply with company SLA’s and regularly update tickets to keep internal and external teams updated on status of ticket. Follow company communication and escalation procedures in a manner to ensure compliance with SLA’s. Write test plans, prepare and execute test cases and provide test results to other team members and management. Reproduce software defects identified during the testing process as well as entering these defects into a defect tracking system. Report issues and roadblocks that require management attention. Perform Setup and configuration for standard deployments. VoicePort’s vision is to be the leading provider of interactive multi-channel solutions in the newspaper industry through innovative technology. We are trusted, responsive, customer-focused technical experts who provide interactive multi-channel solutions for the newspaper industry. We recognize the critical business need to improve our clients’ operational efficiencies in order to drive their profitability. We accomplish this by providing secure and compliant cloud-based communications and analytics in a consultative and collaborative way. Integrity – We operate on trust and credibility. We do what we say we are going to do. Our conduct is ethical and legal. Transparency – We have one agenda: Deliver our vision and mission. We believe in a win-win approach to business partnership and open, effective communication. Accountability – We own our commitments, actions and results — as a company and as individual employee at VoicePort. Excellence – Excellence is our standard — we strive for continuous improvement. Leadership – We lead through innovation, passion and delivering on our commitments. Collaboration – We partner with our customers and each other to succeed as a team.